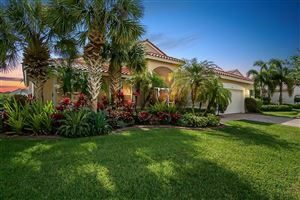 Kings Isle in Port St. Lucie, Florida is a gated, active adult community which is located at the center of the prestigious, master planned community of St. Lucie West. Kings Isle enjoys quick access to Interstate 95, a major north to south route through Florida. This area is suburban with mostly residences, shops, restaurants, and golf courses. Kings Isle Port St. Lucie is one of the most affordable 55+ communities in South Florida, with housing prices less per square foot than other surrounding St. Lucie West communities. Kings Isle Port St. Lucie is a 55 and over community of approximately 1,000 homes. Construction started in 1993 by Lennar and was completed in 1999. This community has attached duplexes (courtyard homes) and single-family (manor homes) for resale. The attached duplexes are the least expensive option and they range in size from 1,000 to 1,600 square feet. Single-family detached homes range in size from 1,500 to 2,100 square feet. All residences in Kings Isle feature concrete block construction, emergency alert system services, and neighbor-friendly front porches with exterior light and rear terrace for outdoor living. The Manor homes include one or two-car garages and the Courtyard homes have individually assigned parking.